The anticipation is killing me...I hope it lasts. If there is one thing I have learned from hunting Whitecourt it's the wait. Correction, it's the having to wait. I suppose it is fitting given the Crater waited 1100 years to reveal itself. It was discovered in 2007 when the first tire tracks of man carved their way into this dense forest. 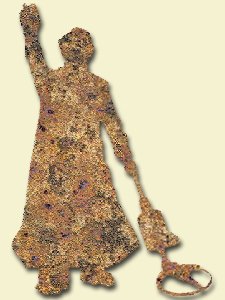 A few iron meteorites were discovered around this massive teacup shaped depression and taken to University of Alberta's department of Earth and Atmospheric Sciences Dr. Chris Herd. The Canadians are go-getters when it comes to their meteorites and Whitecourt is no exception. Dr. Herd quickly led a team to the site for further investigation. Upon arrival it was clear that the area was overgrown and difficult to map. Enter geomorphologist Dr. Duane Froese and the use of LiDAR (Light Detection and Ranging) that is able to read laser light bounced back from the ground effectively ignoring vegetation. 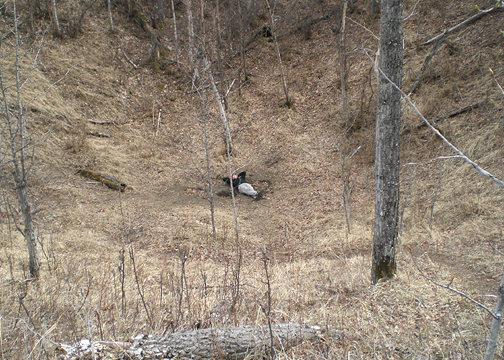 Recognizing that the Whitecourt Meteorite Impact Crater could be damaged over time by people searching for meteorites, the crater and the area immediately surrounding it have been designated as a Provincial Historic Resource and placed under protection according to the Alberta Provincial Historic Resource Designation Act. No disturbing or collecting is allowed, and violation is punishable by a fine of up to $50,000 and/or 1 year of imprisonment. The above is taken directly from the Ualberta/EAS website, no need to clarify. You are allowed to venture down into the crater, an experience that conjures the unimaginable as one looks up and ponders just what that sky must have looked like one day long past. The previous hunts in Canada, Buzzard Coulee and Grimsby, were metropolitan compared to Whitecourt. An expedition to the Canadian wilderness takes planning and timing that required the help of allies made from both of these previous hunts to make the trip happen. The greatest difficulty is threading the the eye of Mother Nature's needle. There is a roughly two week window within which the ground thaws enough that you can dig before the vegetation explodes making it near impossible to detect. When describing this to a friend I said "Go take a five gram meteorite and bury it in damp soil in a five gallon bucket. Now freeze the bucket solid and start digging. Oh, and don't forget the roots." You have to take an amazing amount of gear on your person to chew through the semi-frozen ground and inch thick roots, each dig requires about 30 minutes. There is so much gear that it only fits on on you one way as you traverse the woods and it all has to come off to dig. There is evidence an old homestead attempt, an area we quickly learned to avoid due to all the metal scrap. Hours could be lost there. The meteorite to meteorwrong ratio outside of this region was about 1:4, likely due to past hunters. 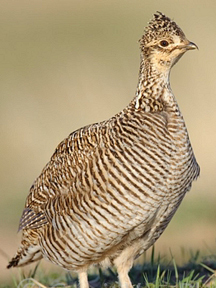 The ever present slow moving prairie chicken. A ridiculously disadvantaged flightless bird that gets caught up in every bramble. We later learned from a local that they are quite tasty. We could have had quite a feed as they would be easy to catch barehanded. There were plenty of caribou and moose to be seen as well. Months of planning, planning and waiting, the treasures liberated from their icy graves and fondly in the hands of their finders now had to be turned over to the Canadian government. A new wait began. Each piece was meticulously cataloged with individual photos, weights, GPS, finder and find number and submitted for mapping purposes. Such was the only way to prove they were not taken from the protected area. Then the final wait for exportation, now granted making these specimens available to the world for the first time. As always, I wish thank the people of Canada...never a finer lot will you find. A nod to the scientists and the processes they employ, leaving the four walls and going to the wild places and working in collaboration with hunters.